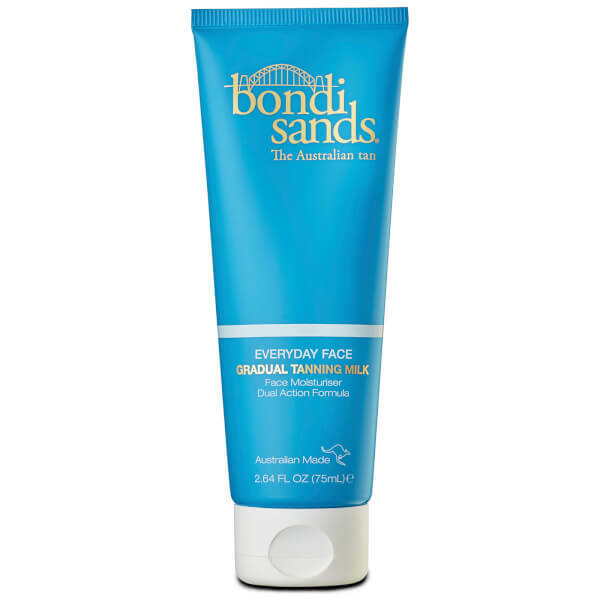 Achieve a sun-kissed complexion with the Bondi Sands Everyday Gradual Tanning Milk for Face; an ultra-hydrating, antioxidant-rich formula that delivers a hint of colour. Harnessing the powers of Aloe Vera and Vitamin E, the lightweight, quick-absorbing moisturiser nourishes and rejuvenates skin, whilst inspiring a subtle, natural-looking glow that slowly intensifies. Scented with delicious Cocoa Butter. Step 1: For an even, streak-free tan, ensure your skin is clean, dry and free from any moisturisers or makeup. Step 2: Apply evenly onto the face and neck in a smooth, circular motions. 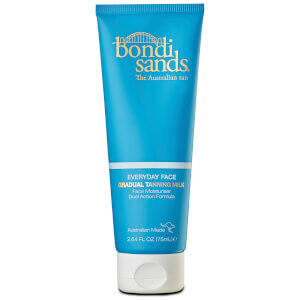 Step 3: Use as an everyday face moisturiser to keep skin hydrated and looking sun kissed. Wash hands after use.